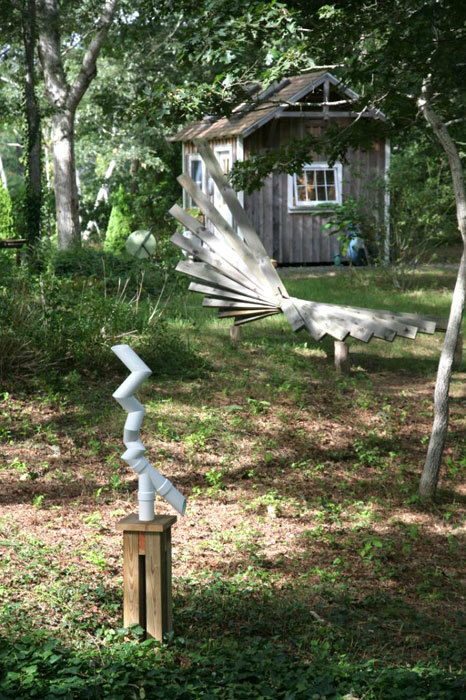 One section of my Cape property is a large gently sloped “hollow,” where I have been able to display my larger pieces of sculpture in an outdoor setting. 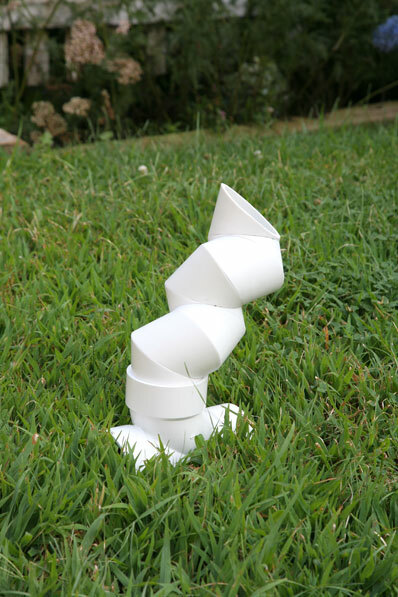 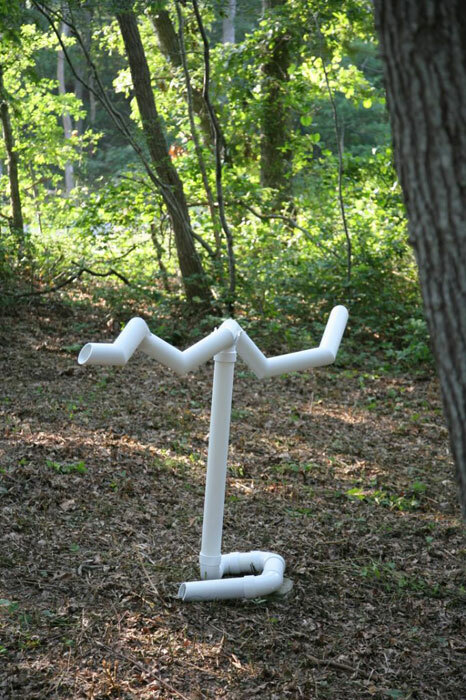 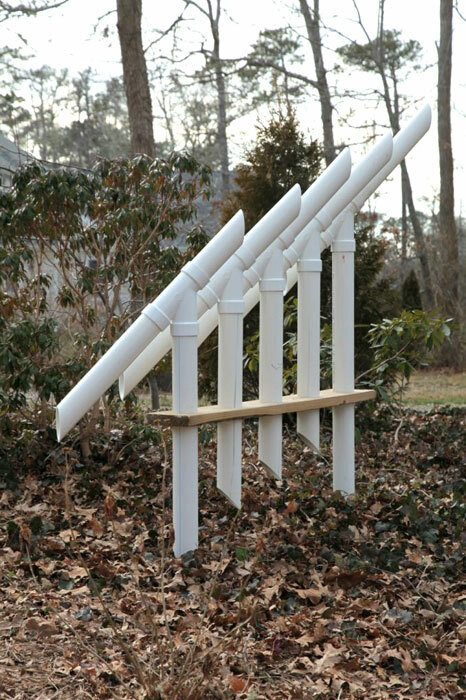 Most of these pieces are made from PVC pipe, a medium that presents the challenge of cylindrical geometry. 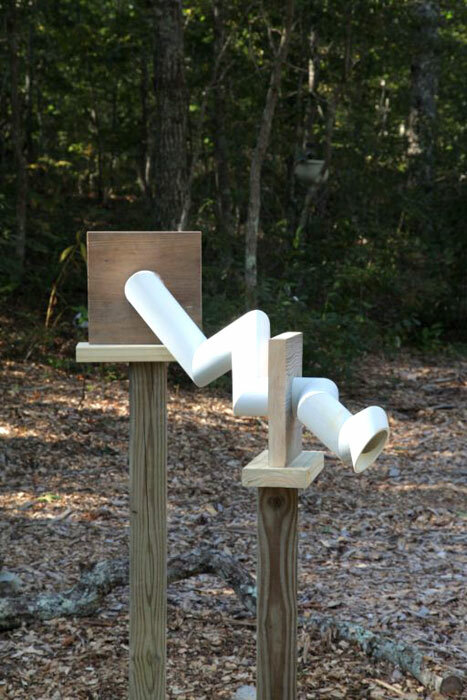 I have many more pieces out of wood and plastic pipe on the drawing board of my mind. 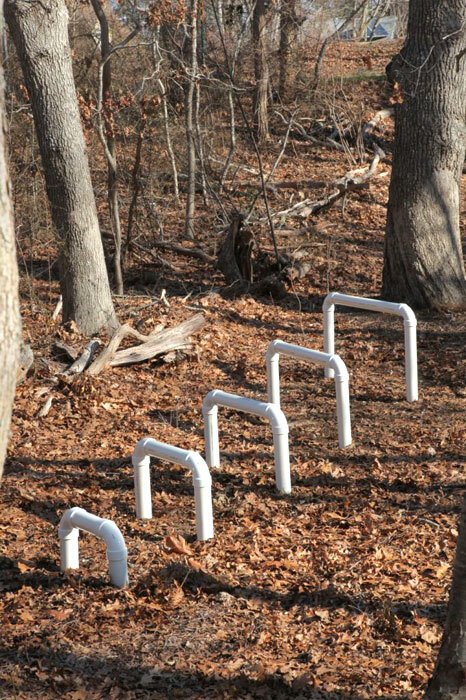 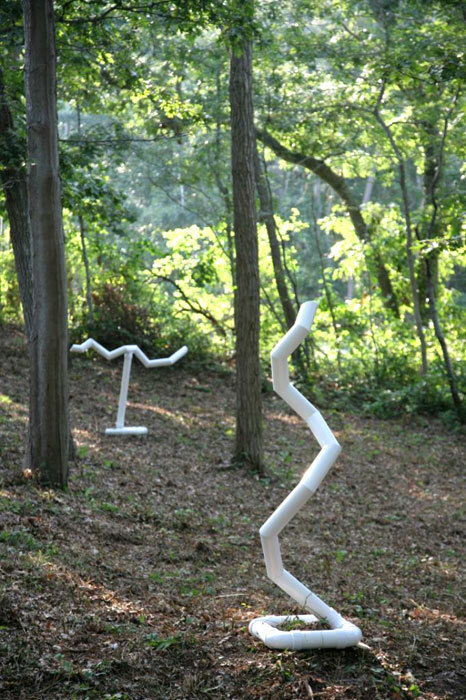 Plans for The Hollow involve formal paths and plantings to allow viewers to “wander and ponder” the work. 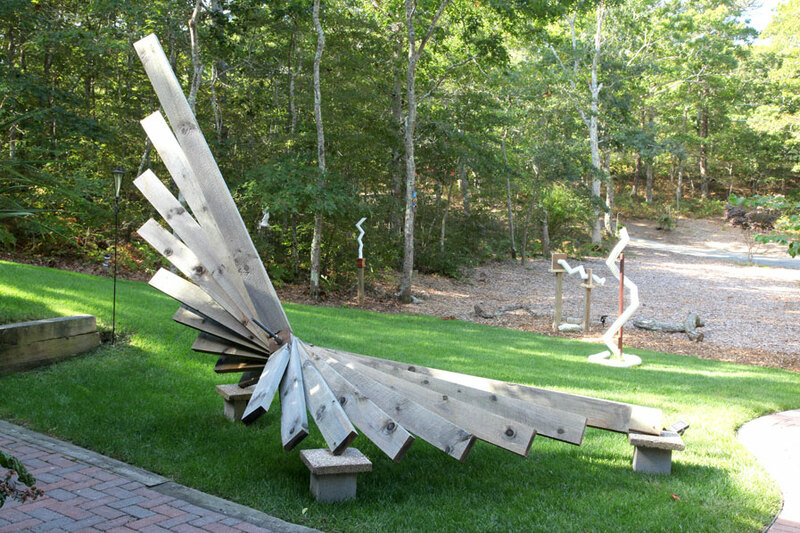 For now the pieces themselves dominate the intimate landscape.